I have Blogged about Berlin a lot since I started blogging back in 2011. I have a connection to that city as I have for Stuttgart. I remember walking around the city from the West Berlin part to the East Berlin part and how different they were, the vibrant West and the Dour East. 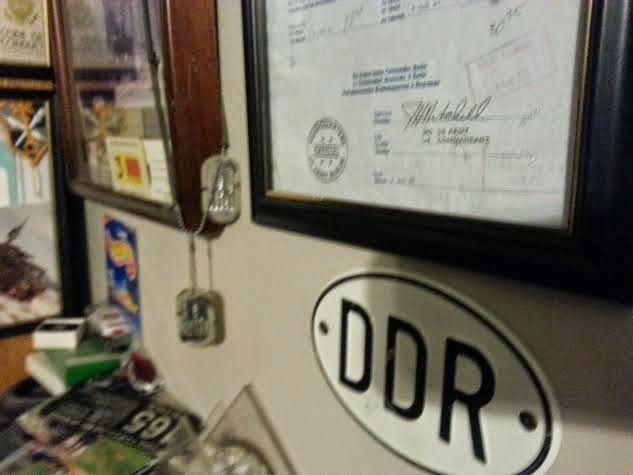 As many of y'all that visit my little corner of the internet know that I spent 5 years in Germany, I got there in mid 1986, and DEROS's back to the world in 1991 where I mustered out. I spent the first 18 months attached to the 1st Infantry Division (FWD) at Cooke Barracks in Geoppingen Germany. 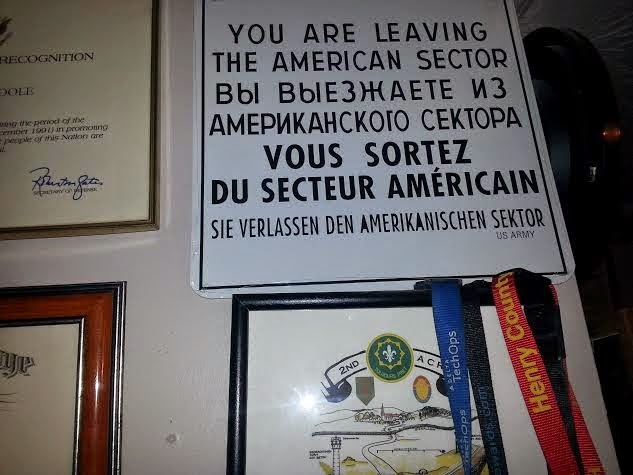 I then transferred to a corp level asset in 1988 at Echterdingen or SAAF(Stuttgart Army Airfield). 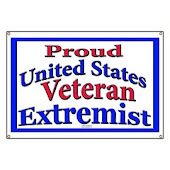 That is where I was when we got deployed to the Persian Gulf for Desert Shield then Desert Storm. 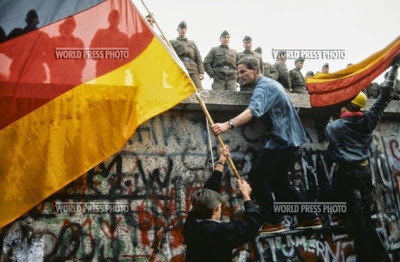 But I was stationed in Germany when they unified in 1989. I will intersperse my experiences with some photo's I took of my souvenirs. You know what they say about G.I's...."We souvenir anything long time". My first time in Berlin was in 1987 while I was attached to Wobeck a station near Helmstedt a part of Field Station Berlin. I took my Mustang down the Helmstedt autobahn, The Helmstedt Autobahn is the only land route that we as Americans can drive through East Germany to Berlin. 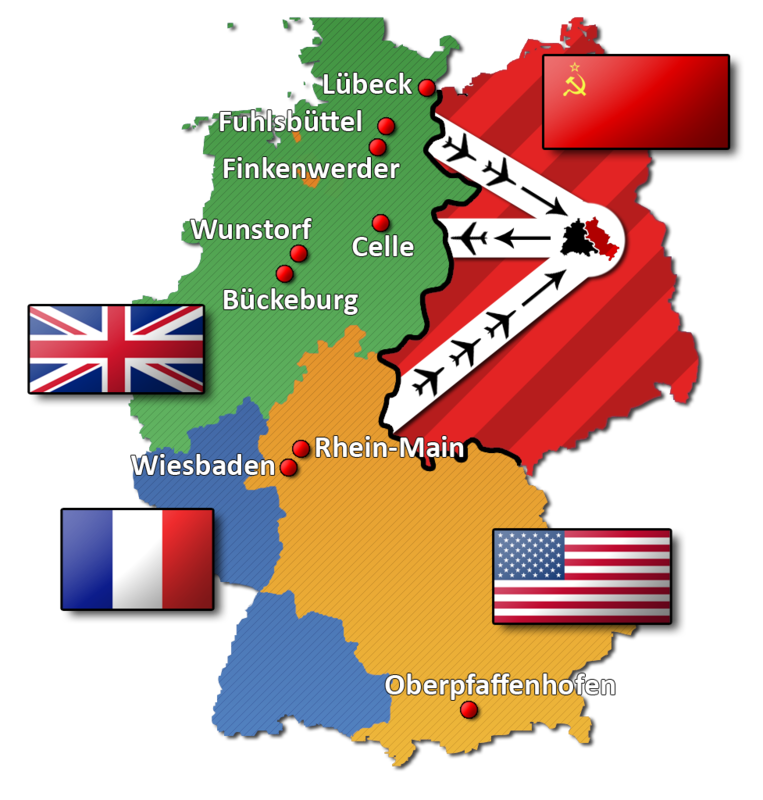 We have to use "Flag Orders" to traverse the Autobahn to Berlin. We would have to stop at 2 Soviet checkpoints. We would be in class "A's" uniform, get out of the vehicle, present our flag orders to the soviet representative at Magneburg and at Potsdam. 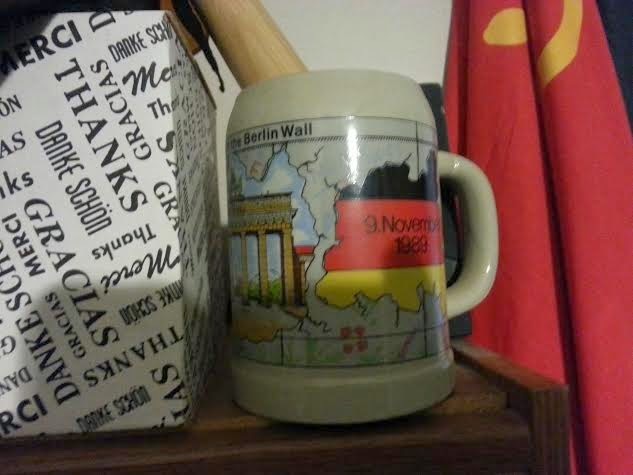 Well when I went to Berlin, it was a surreal experience, this is a link of my travels and various postings, West Berlin was a 24 hour party and east Germany was very subdued. 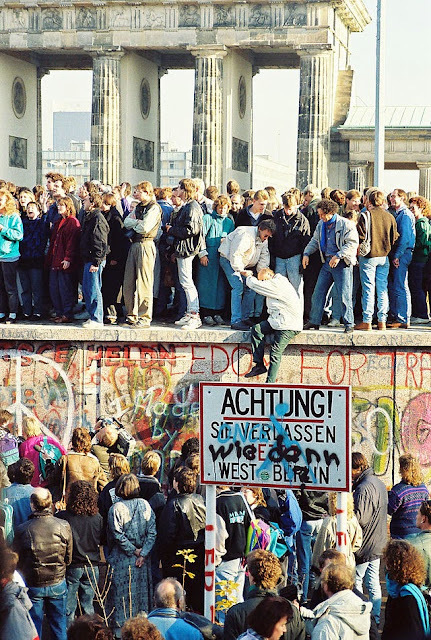 We exercised our rights of travel in East Berlin on a regular basis. I would walk around and explore the sights. I saw scaffolding everywhere, like they were rebuilding, but the wood for the scaffolding was dry rotted. the buildings still had bullet pock marks in the wall when the Soviets took the city in 1945. If we were hassled by the east Germans we would ask or demand "Ich murste mit eine Soviet Officer mit zum sprechen". 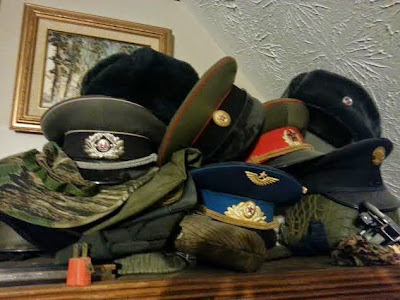 I want to speak to a Soviet officer. Since the Soviets were in charge of East Berlin and the Western powers were responsible for West Berlin. I remembered President Reagan speech in 1987 in West Berlin. This is when we had a President that behaved like a President rather than the petulant boy-king we have now. 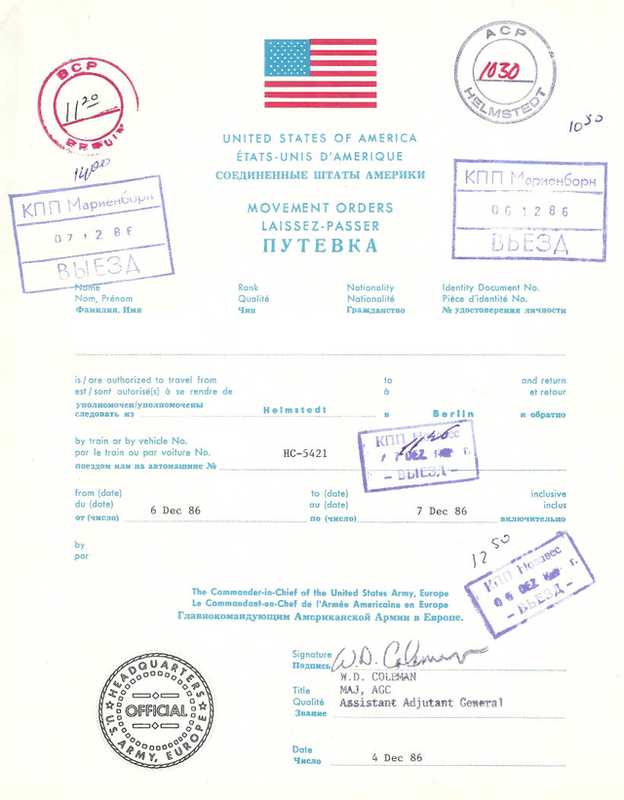 But when the East Germans were going through Czechoslovakia and Hungary to get to the West and the East German Government started cracking down and we increased out alert status because we had doubts on what the Soviets will do, for in the past they did interfere with protest like they did in East Germany in 1953, Hungary in 1956, and Czechoslovakia in 1968. 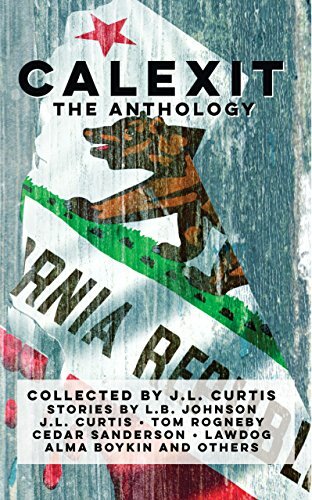 Poland almost got invaded by the "Warsaw Pact" in the early 80's during the Solidarity Protest but the Polish government declared martial law and other draconian measures to basically placate the soviets so they didn't get the "assistance" from the Warsaw pact like the other places did. When the unrest grew, we increased our surveillance to see what the Soviets would do. 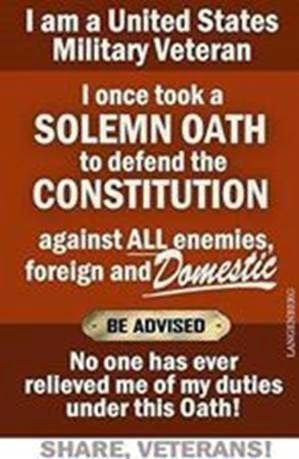 when the wall started to come down, we were confined to garrison for 2 reasons, one to prevent an incident with an American near the border and in case the Soviets attacked, we would be able to ramp up to a wartime footing. Luckily such things didn't happen. But watching the party and celebration on AFN was like being in the twilight zone, we were watching history before our eyes and all we could do was hold on for the ride and hope for the best. We started seeing the ""Trabbi's" on the autobahns and nothing like doing 130 MPH's and seeing a trabbi doing 50 mph packed full of "Osters" going to the west to see the sights. Well I did collect some souvenirs of my time after the wall fell. A picture of the Brandenburg Tor with British Tanks in front of it. A "SMLM" ID tag in front of it. 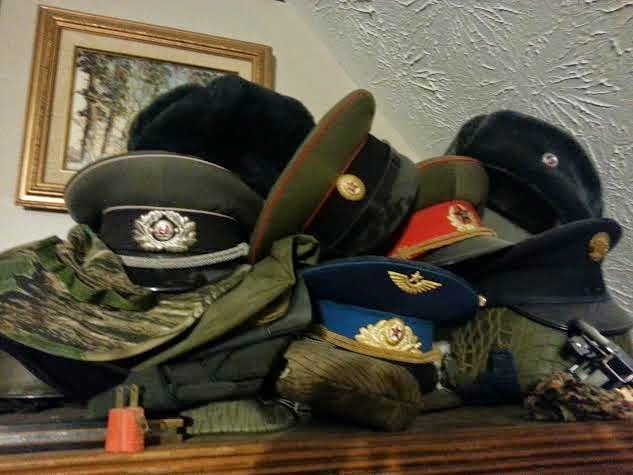 A bunch of my Soviet and East German hats, I got a lot of stuff with some dollars and Western Pron magazines. The Sector sign that is immortalized. 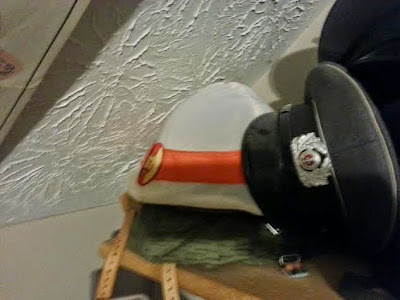 East German hat and helmets. 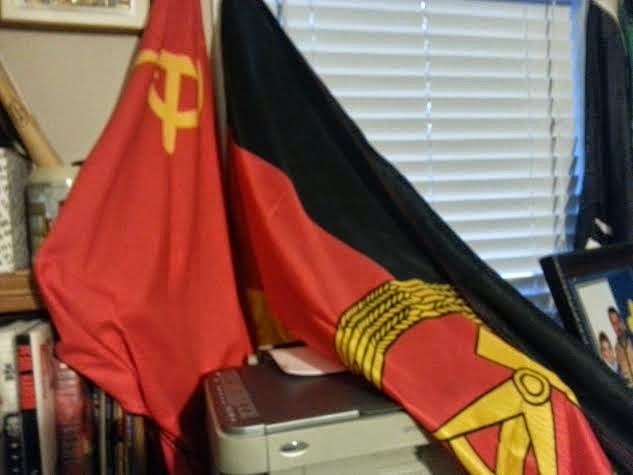 Yes that is a Soviet and East German flag. 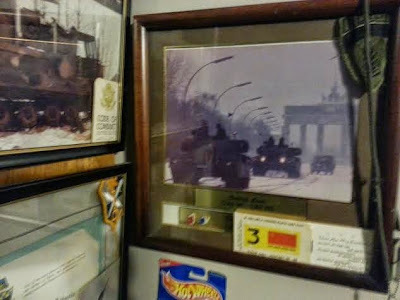 My "man-cave" has a lot of stuff from my travels.